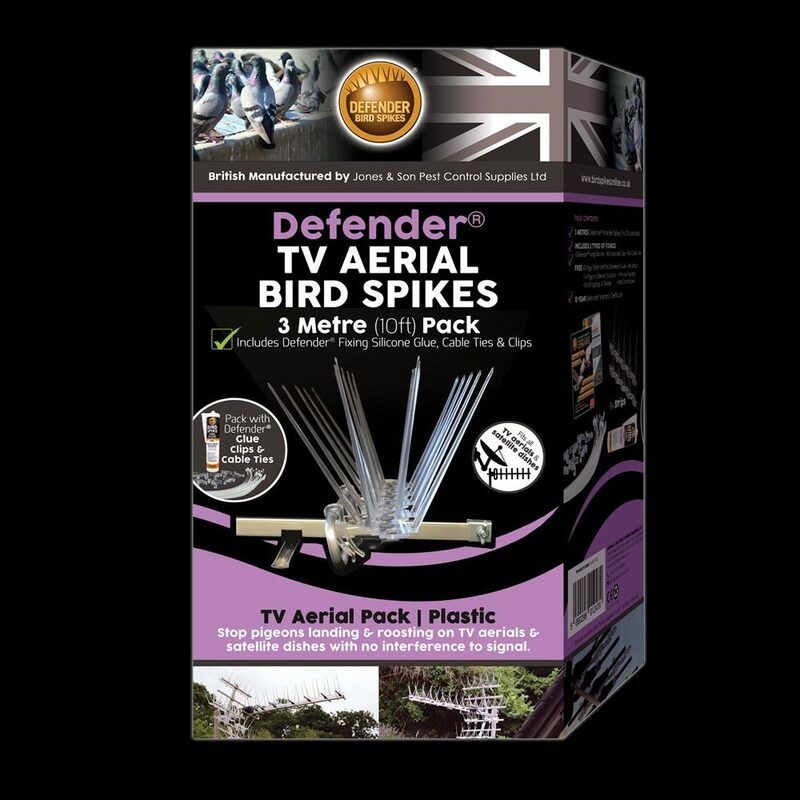 The Defender® TV Aerial Bird Spikes 3 Metre Pack fits all shapes and sizes of aerial and satellite dishes. The pack is supplied with 3 different sorts of fixings, ie. A full size tube of Defender® Fixing Silicone, specialist plastic clips and cable ties. These methods of attaching the TV Aerial Bird Spikes are proven not to interfere with the Aerial or satellite's signal. Use them on their own or in conjunction as is necessary. Birds and pigeons love roosting on the highest vantage point on a roof, often this means the aerial. Move birds off satellites and aerials by using Defender® TV Aerial Bird Spikes, they are completely humane and simply make it difficult for birds to land and humanely move them on. All our Defender® retail packs are manufactured, supplied and despatched by us, Jones and Son Pest Control Supplies, based in Devon. Customers often come to our warehouse to see how our spikes are made and to get advice from our team on proofing their properties. 40-Page Defender® Pigeon Deterrent Guide including information of Bird Droppings and Disease, Bird Control Laws, Why My Property? And 14 Pigeon and Seagull Deterrent Solutions. Defender® Aerial Pack contains 3 linear metres (9 x 333 mm strips) of bird spikes which can be fixed along the main central pole and along the different branches. The Defender® Aerial Pack include 3 different types of fixing solutions, all designed not to interfere with the signal. Clips can be fitted to the base of the spikes and simple attached to the aerial branches, cable ties can be used to hold the spikes in position and Defender® Silicone and be used to stick the spikes directly onto the aerial. A combination of all 3 types of fixing can also be used if necessary. 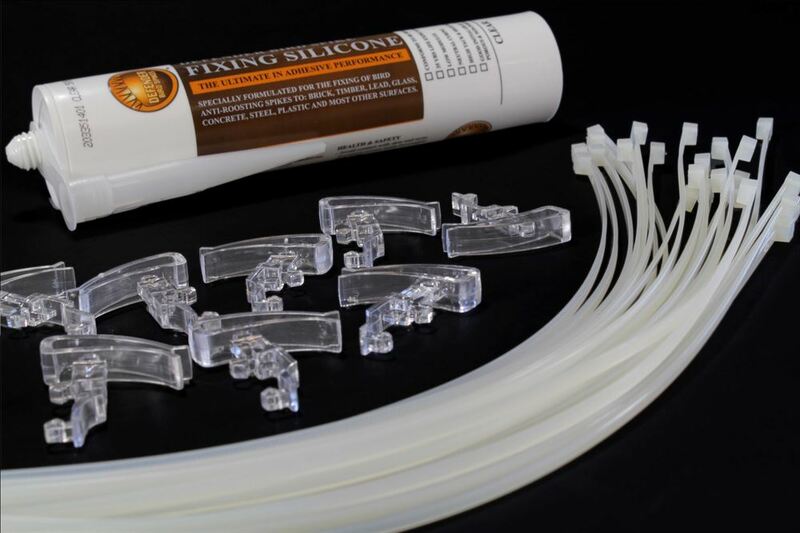 A simple guide to installation, please click here Defender® TV Aerial Bird Spikes - Installation Guide. 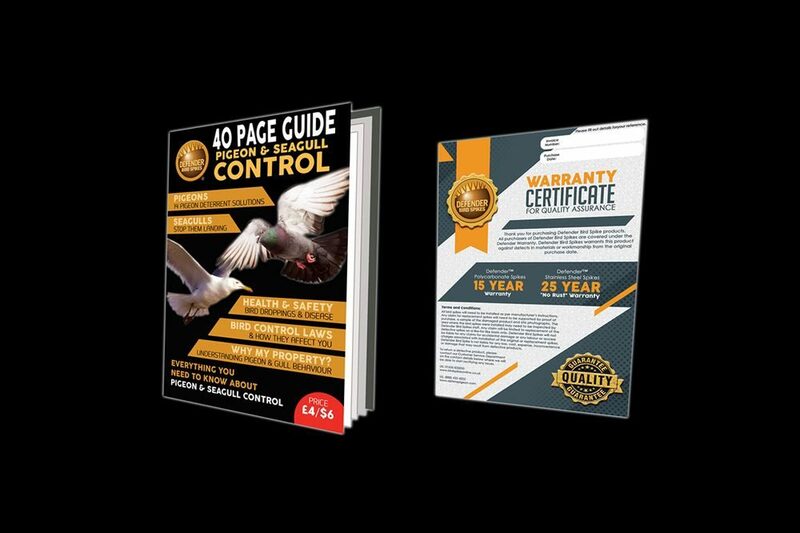 However, there is a lovely installation guide on how to correctly install our aerial and satellite pigeon spike deterrents on the actual pack itself and within the informative Bird Deterrent Guide which is included. The base is made from Durolon, a UV stabilised polycarbonate to protect it from the sun's rays. All the components supplied are made entirely of plastic which means, once installed, they will not interfere with the signal. The spikes are very discreet when installed and are virtually invisible from the ground. Birds love to perch on the highest part of a building. Once your aerial is pigeon proofed consider proofing the rest of the roof to move birds off altogether. We recommend our Defender® Chimney Pot Strap Bird Spike Pack and the Defender® Roof Ridge Bird Spike Pack. 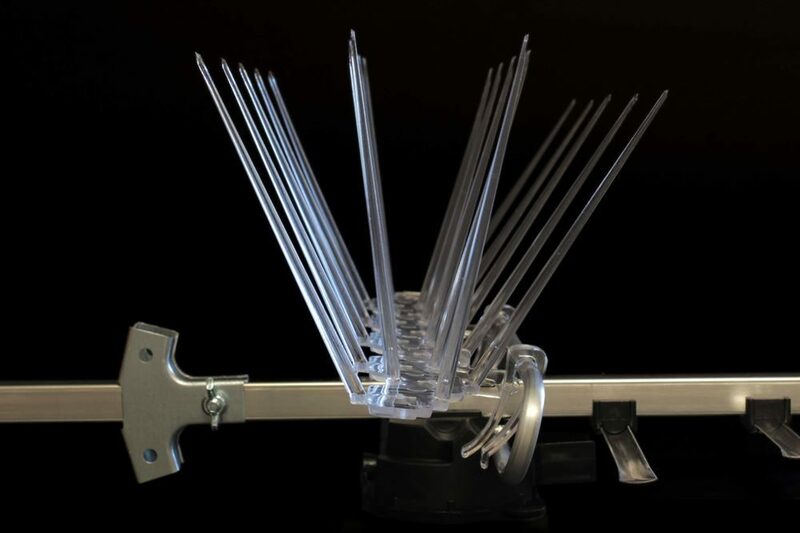 Our Defender® Pigeon and Gull Spikes have stopped pigeons and seagulls landing on properties for years. Please read our Seagull and Pigeon Spike Reviews here. If you have a question about the Defender® TV Aerial Bird Spike Pack, please contact us and we will help you move birds off your aerial and satellite dishes for good!